Join us for an evening of nourishing food and community as we celebrate Shoresh’s 10th anniversary, honouring the many people, plants, creatures, and traditions that continue to ground and inspire us. Enjoy over 25 sweet and savoury dishes and drinks, made with love by Toronto’s most talented and kind food producers, creators and purveyors! 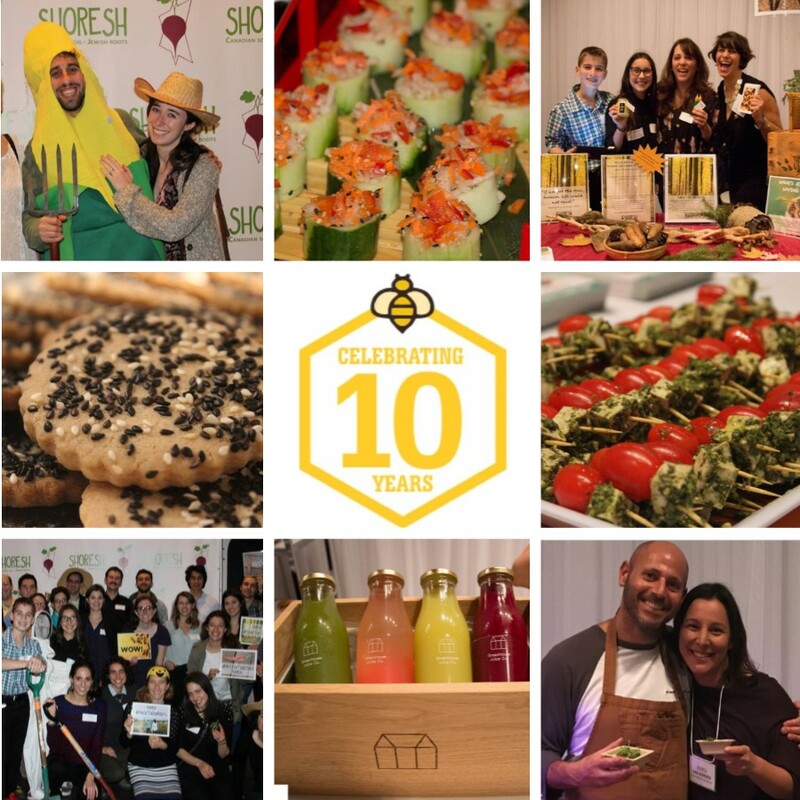 Bring your family and friends to enjoy live music; bid on healthy experiences and items in our incredible silent auction; purchase Shoresh products including our own raw honey from Bela’s Bees, locally-made beeswax Shabbat and Chanukah candles; and help us celebrate our biggest achievements of the last decade! Taking Root is the tastiest way to support our work inspiring and empowering our community to take care of the earth. Your ticket purchase is a direct investment in our efforts to cultivate a community of environmental stewards through nature-based Jewish education, healthy food production for vulnerable community members, environmental action and sustainable Jewish products. Need more reasons to come to our epic anniversary celebration? Check out our top 10 reasons to get your ticket to this year’s Taking Root! All we need to make Taking Root 2018 the best yet is YOU. Get your tickets today or click here for sponsorship opportunities. Doors open at 6:30 PM. Food and drink served until 8:30 PM.